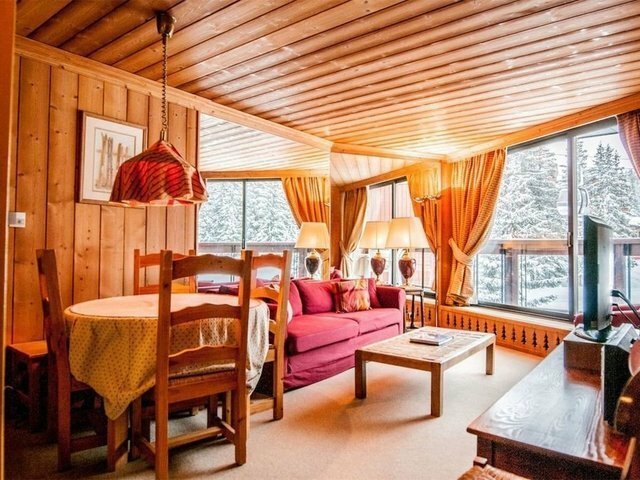 Located in the 'Jardin Alpin' area in Courchevel 1850, a well presented exceptional apartment with an area of 46sq m. For sale by Savills Courchevel. The apartment has a living room and dining area, a kitchen, a double bedroom and a bathroom. Enjoy a large balcony of 8sq m facing south with magnificent views. In addition: a ski locker and outdoor parking. Apartment is in building attached to the 5* Palace des Neiges hotel with direct access to the spa, swimming pool etc."